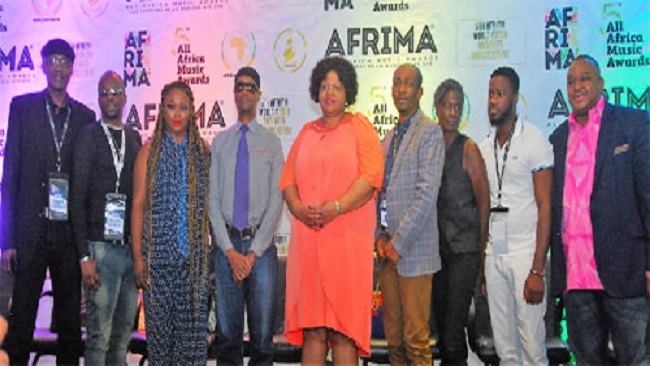 The 13-man Jury of the All Africa Music Awards, AFRIMA, on Tuesday, unveiled the nominees list for the 2018 edition. The event which held at the Eko Hotel, Victoria Island, Lagos, had officials of the African Union Commission, Jury members and some stakeholders in attendance. The released nominees list covers the five Regional Categories divided into Female and Male categories as follows: Best Female Artiste in Central Africa; Best Male Artiste in Central Africa; Best Female Artiste in Eastern Africa; Best Male Artiste in Eastern Africa; Best Female Artiste in Northern Africa; Best Male Artiste in Northern Africa; Best Female Artiste in Southern Africa; Best Male Artiste in Southern Africa; Best Female Artiste in Western Africa and Best Male Artiste in Western Africa. A total of 79 songs made it to the Regional nominees list. Cameroon takes up four of the eight spots in the category for Best Female Artiste in Central Africa, followed by DRC (2), and Angola (2). In the category for Best Male Artiste in Central Africa, Democratic Republic of Congo (DRC) takes the lead with five spots followed by Cameroon 2 and Chad 1. From Eastern Africa, the female category Kenya holds three spots while Uganda takes 2 with Ethiopia, Rwanda and Tanzania occupying one nomination slot respectively. In the male category, Kenya and Tanzania maintain three nominations each Tanzania ties with Ethiopia & Tanzania registering one nomination apiece. The Algerian female artistes have a lead ahead of their male counterparts as they took four out of the six spots in the category for Best Female Artiste in Northern Africa, with Tunisia and Egypt holding one spot each. The Male category has Moroccan artistes occupying four of the eight spots, Algeria 2, Egypt and Tunisia earning one nomination each. The Southern African region is dominated by South African artistes both in the male and female categories, with a total of nine spots, followed by Zimbabwe- 3, while Swaziland, Namibia, Malawi, and Zimbabwe take 1 spot each. The Western region Male category is having great contenders between Nigeria and Ghana. Holding up 4 spots is Nigeria, closely followed by Ghana (3), while Guinea and Cape Verde hold 1 spot each. The Best Female Artiste in the Western region has Nigeria and Ghana in a tie of 2 spots respectively, with Benin (1), Mali (1), Senegal (1), and Cote d’Ivoire (1). While providing insights into the process by which the entries were reviewed and graded, the spokesperson for the International Jury of AFRIMA and the Programme Director, Cameroon TV and Radio, CRTV, Mr. Robert Ekukole (representing Eastern Africa) explained that tasked with the responsibility of carefully and mindfully sieving through 8,009 entries submitted by African music professionals within the awards validity period of August 1, 2017 to August 1, 2018, “the jury members have no choice but to be thorough and deliberate about their work because we will be doing artistes and creators of these works a great injustice if we don’t accord them the review their works deserves”, “The AFRIMA Nominees list we arrived at reflects and represents the top-notch creative expressions of music talents and professionals within the relevant regions and validity period. However, we also have a challenge where some artistes failed to enter for the awards and as such missed the opportunity to be evaluated or possibly nominated for AFRIMA”. The AFRIMA adjudication is carried out electronically via the proprietary AFRIMA Adjudication Software, which was designed by AFRIMA in 2014, has been deployed for use since the 2015 annual adjudication process. When public voting opens on the AFRIMA website on Monday, August 27, both continental and regional nominees in the 38 AFRIMA award categories will compete against one another for the coveted 23.9 carat gold-plated AFRIMA Trophy. Nominees will now depend on votes from their fans and followers spread across the globe to vote for their songs in an open voting process via the AFRIMA website, www.afrima.org From August 7, when the annual adjudication process began, the 13-man AFRIMA Jury worked painstakingly and tirelessly in assessing and grading the submitted entries which was an astronomical increase of 63% against the 2017 entries received by AFRIMA. Medical staff are fleeing hospitals in Cameroon’s troubled English-speaking regions after attacks this month left several nurses dead and many others wounded. 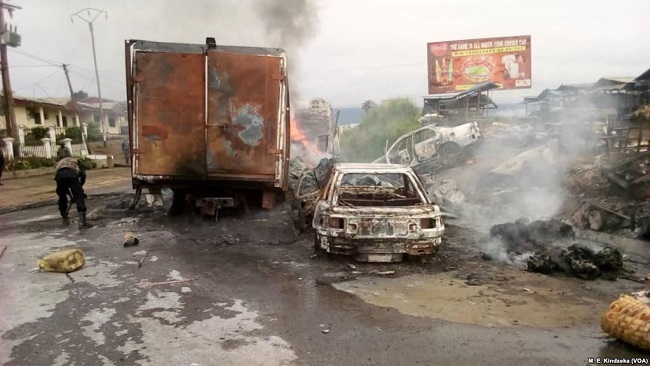 Medics say they are stuck between a military that accuses them of aiding armed separatists and rebel fighters who say hospitals betray them to the army. Elvis Ndansi, of the Cameroon trade union of nurses, says the killings and abuse provoked outrage in the medical corps. “The military comes, chase them out of the hospital, brutalize them, beat them. As medical personnel, we all stand to condemn these acts and say they are very wrong. Medical personnel are supposed to be protected in times of war. 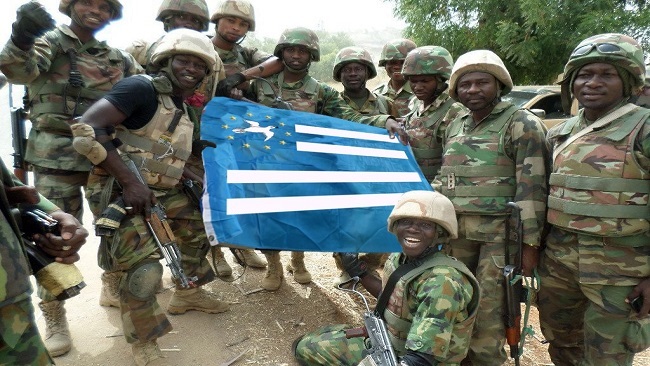 They are there to take care of all casualties, be they from the military, be they from the Ambazonians or secessionists. Their role is to save lives,” Ndansi said. 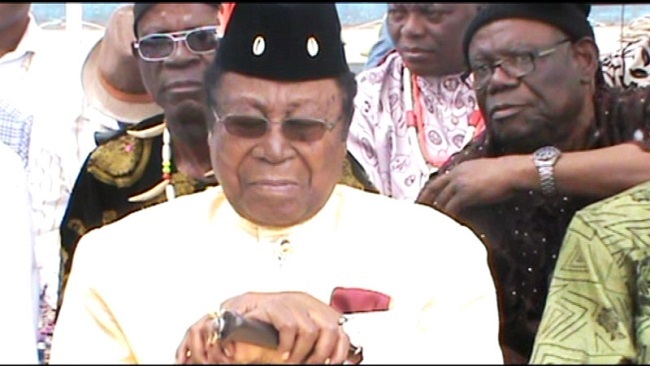 Governor Bernard Okalia Bilai of the English-speaking southwest region denies the military is responsible for the attacks, saying the separatists seeking an English-speaking state in Cameroon are the ones to blame. He says he has instructed the military to protect hospitals from armed gangs. 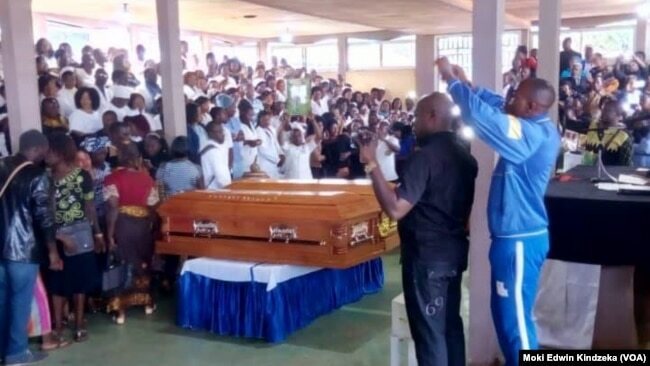 Mourners gather for Nancy Azah and her husband, Njong Padisco, both nurses killed in Cameroon’s northwest region, during their funeral services in Alahkuma, Aug. 15, 2018. 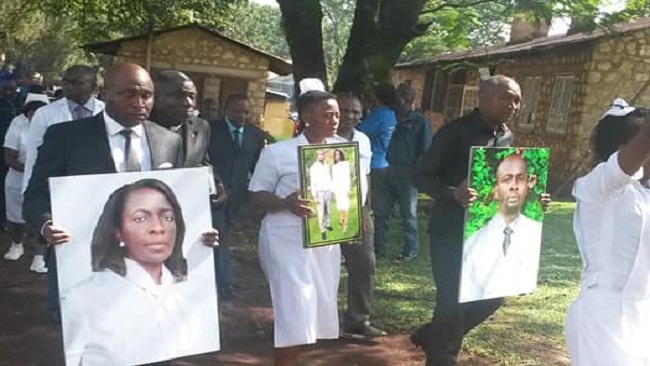 Despite the danger of traveling in the region, hundreds of medics showed up Wednesday for a funeral to honor Nancy Azah and her husband Njong Padisco. The couple, both nurses, were shot dead last week, reportedly by Cameroonian troops. Nurse Arrey Rose says the association of nurses called on the medical community to show solidarity by attending the funeral service. The violence has led patients and medical staff to desert hospitals in both the northwest and southwest. Eighteen-year-old Mundi Ernestine says that when she took her younger brother to Bamenda regional hospital, there was no one to treat him. The Cameroon Medical Council says, due to the ongoing conflict, the exact number of medical staff who have fled the two volatile regions is unknown. Governor Bilai is calling on them to return. 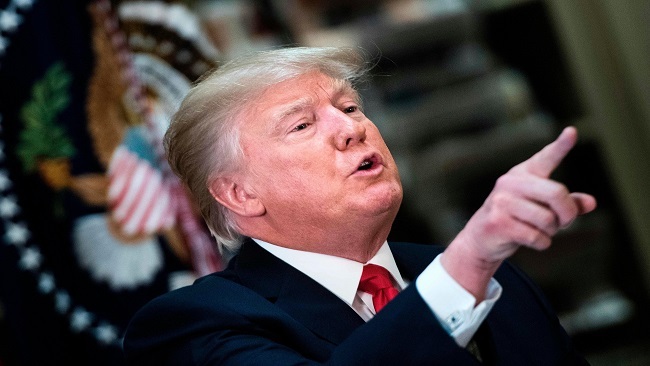 He says all political leaders and civil society groups should educate runaway staff to go back to their work, especially now that the military is protecting medical facilities. More than 300 civilians and security forces have been killed in Cameroon’s English-speaking regions since 2016, when separatists launched their drive for an independent state they call Ambazonia. The United Nations says at least 200,000 people have been internally displaced in the conflict and tens of thousands have fled to neighboring Nigeria. The Israeli company NUFiltration (NUF) that specializes in water purification and filtration systems is implementing its unique patent to help fight a cholera epidemic that is affecting Cameroon. The water systems will be supplied under the auspices of the Israeli Agency for International Development Cooperation (MASHAV) and the Ministry of Foreign Affairs of Israel. In Cameroon there is currently a major crisis due to the spread of cholera that is affecting many water sources and turning them into sources of the disease. The Ministry of Foreign Affairs of Israel through MASHAV and the ambassador of Israel in Cameroon, Ran Gidor, decided to take the initiative to help Cameroon in the current crisis. For this, they contacted the Israeli company NUFiltration, which developed innovative special water purification systems. Through its system, the purification is done manually and without the need for a source of electrical energy or special chemicals. The system can work anywhere and can supply 8 liters of high-quality drinking water in a minute, managing to meet the needs of about 500 people in one day. The NUF water purification system is registered as an original worldwide patent in which the water is purified through a medical filter used in the dialysis process. In recent months, NUF technology has even been used by UN agencies to be used in two UN camps in Congo and Mali. The technology used in NUF was invented by Prof. Yoram Lass, former Director General of the Ministry of Health of Israel and former congressman of the Israeli Labour Party. Mino Negrin, an entrepreneur and entrepreneur who has been active in the area of water purification for years, bought the patent and founded the company NUFiltration to develop the product and take it to different parts of the world. 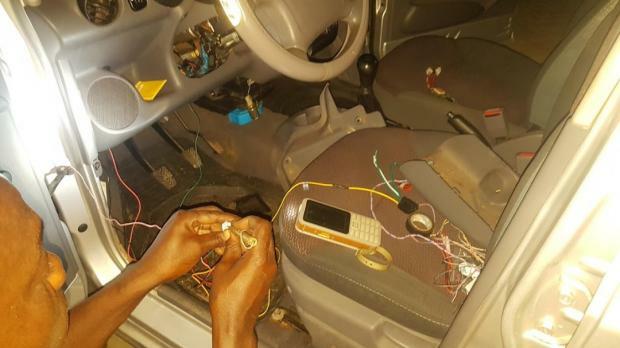 Hampered by an internet shutdown in Cameroon’s troubled English-speaking regions in January 2017, Zuo Bruno, a young ethical hacker, was inspired to develop a car-tracking application using SMS. The application named Zoomed, whose adoption has been fast in Cameroon, is now on the verge of spreading across the continent. Cameroon has been interrupting internet intermittently in those regions over the last 20 months in an attempt to stifle dissent following mass protests by English-speaking teachers and lawyers which erupted in 2016, first tampered with internet connectivity on Jan. 17, 2017. The internet shutdown lasted 94 days. The internet was again plug off in October same year, taking the duration of the shutdown to a record 230 days, according to Access Now. 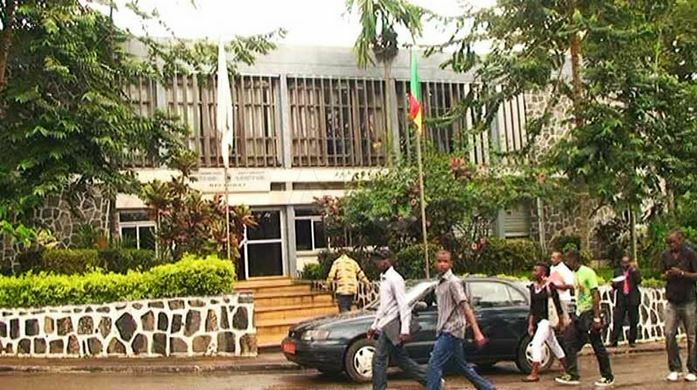 The country shut down the internet in the region for 230 days between January 2017 and March 2018 and it has hurt Cameroon’s burgeoning tech ecosystem in Buea, known as “Silicon Mountain”. While few founders and their startups moved out of the hostile environment, others have been able to turn the ordeal into opportunity. “Following the disconnection, I noticed a lot of cars were being stolen and realized these stolen cars had internet-based tracking solutions installed but the owners still couldn’t locate their cars,” Bruno, founder of Zuoix; an information security start-up said. He says the government’s internet shutdown gave him the incentive to conceive the whole idea. This is why it was especially ironic in February when Bruno’s innovation earned him the President’s 2018 Grand Prize (Gold) for Excellence in Scientific Research and Innovation in Cameroon. The award has a FCFA 10 million ($ 17,500) prize. Another tech enthusiast, 17-year-old Nji Collins Gbah from the same internet-interrupted region managed to emerge champion of the Google Code-in competition in 2017. The Zoomed app does car-tracking based solely on specific SMS commands which gives it an advantage in a continent where shaky internet connection and low penetration makes internet-based solutions less effective.. Bruno prices it at FCFA 120,000 ($ 212) and takes less than an hour to get the app installed into an auto-mobile. With a GPS chip installed in the vehicle, a user can locate a car or fleet, with direction, speed and elevation information. The Zoomed app also has features which supports geofencing, immobilization, ignition alert, voice surveillance, two-way calling and SOS alarm with artificial intelligence. No internet connection is required. Bruno said rather than create an internet-based version, the app will use USSD technology. A user can dial simple USSD code, such as *XYZ*12# and be able to locate their car, immobilize it or other features. Using that technology means there will be no additional costs to the user. USSD, which stands for Unstructured Supplementary Service Data, is typically used by mobile operators, especially in Africa — where the market is primarily prepaid—for their internal applications such as balance checks, top-ups, data bundles and promotions. Ever since the Zoomed app caught nationwide attention, it has been upgraded to make cars location-aware; enabling the cars to send distress calls based on their current location to police stations, gas stations, hospitals and emergency services. Democratic Republic of Congo’s health ministry on Tuesday declared an end to an Ebola outbreak believed to have killed 33 people, after 42 days with no new cases. The outbreak, first detected in northwest Congo in April, was dealt with rapidly by the World Health Organisation and Congolese authorities, including the deployment of an experimental vaccine given to over 3,300 people. That helped contain the impact of the virus even when it reached the city of Mbandaka. With a population of 1.5 million, it has frequent air and river links to Congo’s sprawling capital Kinshasa. Ebola causes hemorrhagic fever and vomiting and is spread through direct contact with body fluids. 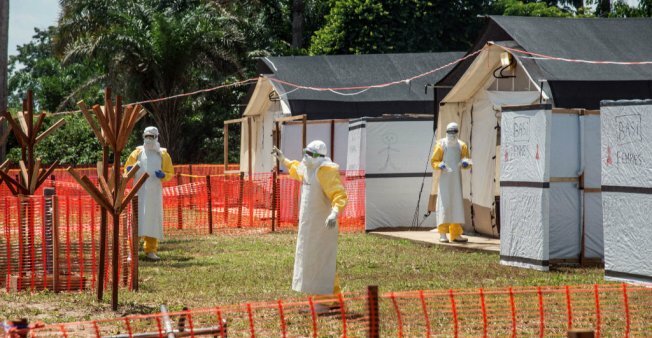 An outbreak in West Africa which peaked in 2014 killed at least 11,300 people in Guinea, Sierra Leone and Liberia. “I declare from this day… the end of the Ebola …epidemic in Equateur Province, Democratic Republic of Congo,” Health Minister Oly Ilunga Kalenga said in a statement. An Ebola outbreak is normally declared over once 42 days have passed since blood samples from the last confirmed case test negative for the second time. A cholera outbreak in Cameroon has claimed at least a dozen lives. Hundreds of people have been rushed to several hospitals in the central African state. It is feared some of the cases were imported from Nigeria and may contaminate refugees fleeing the Boko Haram insurgency. 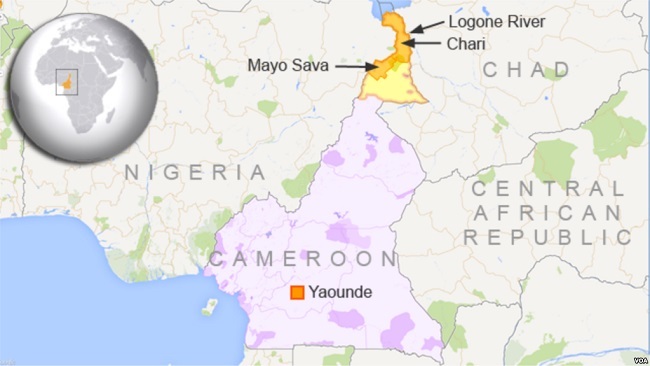 Arabo Saidou, the highest government official in charge of health in Cameroon’s north region says the first cases of cholera were reported along Cameroon’s border with Nigeria two months ago. He says the disease has continued to spread since four cases of cholera were recorded in the northern Cameroon town of Mayo Oulo that borders Nigeria on May 18. He says many people, especially children, have been dying both in and out of hospitals. In May, the Word Health Organization reported that Nigeria’s Adamawa, Borno and Yobe states had been experiencing recurrent cholera outbreaks since February, with a total of 1,664 suspected cases and 31 deaths. 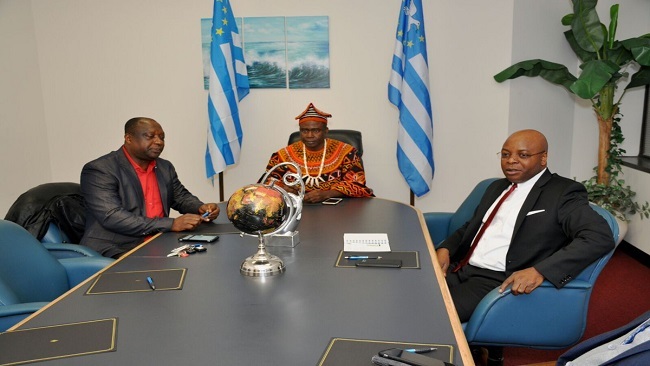 Many people from the three Nigerian states travel to Cameroon for business. At least a hundred thousand are in Cameroon as refugees fleeing the Boko Haram insurgency, with over 90,000 at the Minawao refugee camp. 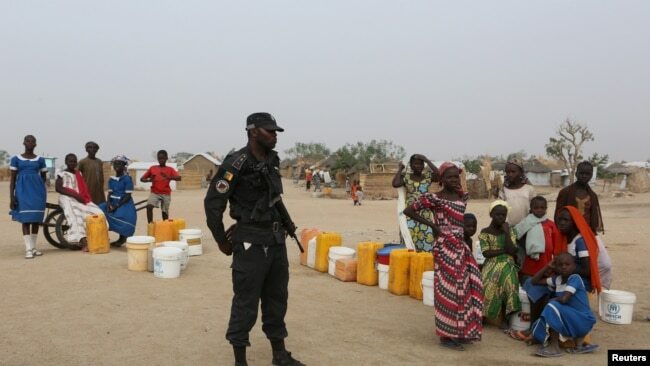 FILE – A Cameroonian police officer stands next to people waiting for water at the Minawao refugee camp for Nigerians who fled Boko Haram attacks in Minawao, Cameroon, March 15, 2016. Issac Bayoro, a Cameroonian epidemiologist working in the Mokolo administrative area where the Minawao refugee camp is located says they are educating refugees to respect hygiene norms and are also screening Nigerians coming to the camp in a bid to protect not only the refugees but their host communities. He says many people continue to defecate in the open air or in streams and river beds where both humans and animals go to find water to drink thereby facilitating the spread of cholera. He says hygiene is not respected as many people do not wash their hands with soap as advised. He says people should stop trusting the belief that an African is naturally vaccinated and can not die of dirt. Cameroon’s ministry of health indicated that the disease quickly spread to Yaounde and Douala, major cities in the central African state. 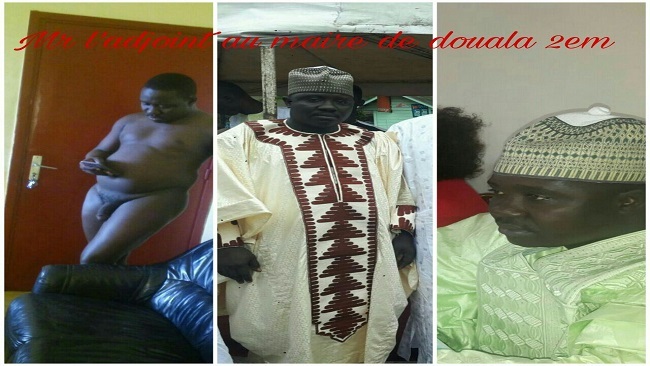 The case reported in Yaounde was of a teenager who travelled to Yaounde from northern Cameroon with his mother. He latter died in a hospital according to the government. Thomas Tawe, a university student and resident of Yaounde says he fears cholera may spread rapidly in the city because just 30 percent of the population has access to good drinking water. Younger journalists seeing these two veterans on the same platform would take or mistake them for peers. Right and wrong! Ok, they are both veterans, from (an)other generation(s) of Radio Cameroon, now CRTV, the state-run broadcaster. At least, they both belong to a past – a distant past to some – hardly known by most of the generation now manning our media landscape. They are both veterans. But who appears to be some veteran’s peer could actually be their own veteran. Nearly as much as Victor Epie’Ngome is babying many of the younger generation of journalists, Gideon Taka babied Epie’Ngome and co into the profession. “He recruited me into Radio Cameroon,” says Epie’Ngome as Taka, 81, walks into the room for a meeting of judges for the Courage In Journalism Awards (CIJA). They both chatter over memories of the good old days. They recall the recruitment tests in those days when mastery of the English language (written and oral), general knowledge and voice quality were conditions sine-qua-non for becoming a broadcaster. They reminisce over the rigours of on-the-job training of yore, a far-cry from today, when kids in a hurry are on the air “starring” before they have learned the ropes of the tricky profession or before they have written a correct sentence. Many being one-eyed men in the country of the blind or lame ducks “winning by forfeiture”, they become resource persons in broadcasting even before they have known the difference between uni-, bi- and omni-directional microphones. That is if they ever get to know. The gloom that beclouds the countenance of the two vets, suggests they are nostalgic of the good-old-days, regretting the present-day open-door policy or “let-my-people-go” that has opened the floodgates to all-comers and compromised the quality of journalism, especially broadcasting. They seem to be bemoaning a new order that raises a platform for a new breed who are neither groomed nor mentored except, perhaps by godfathers who offer undeserved favours, not professional nurturing. They are glorified in their lapses – not to say their mediocrity – and pampered by another kind of mentors who go soft with their kind of mentees for purposes other than for journalism. Not Taka, not Epie’Ngome! 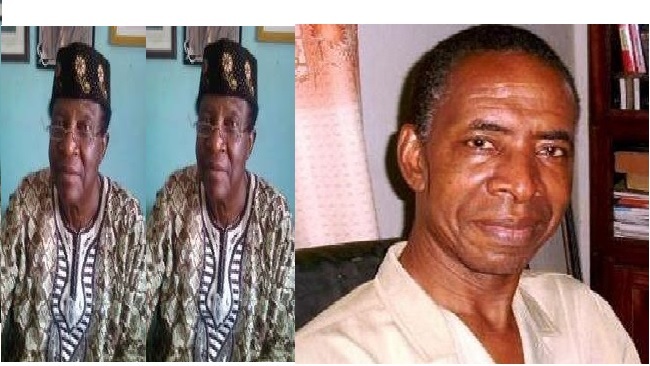 The two vets talk about how Taka, a pioneer of bilingual Radio Yaounde (later National Station of Radio Cameroon, now the radio arm of CRTV) was on the panel that recruited the young Epie’Ngome alongside among others, MeumaMeombo (RIP), NgyetikoMusi and Willy Chindo in 1976, over a decade after Taka’s own debut there in 1963-64. Taka was among the first crop of former Southern Cameroonians recruited “en mass” to give the hitherto all-French Radio Yaounde a reflection of bilingual Cameroon, those early years after the Reunification of 1961. His batch-mates included Francis Wete, former CRTV deputy GM, who was also his classmate in CPC Bali like Peter Esoka who joined them at the radio years later. Taka often points out they were only classmates, not age-mates. The man who is arguably doyen of the Anglophone press corps says he was much older than his classmates. Nor have he and Epie’Ngome been a two-some of any kind. But they both became the breed of journalists who found the best of Radio Cameroon practice was in Cameroon Report, now CRTV’s Cameroon Calling (CC). They each anchored the programme and were among a handful of iconic journalists emeritus invited by CRTV last year to showcase its golden age. Answering the call, Epie’Ngome reenacted his personal trademark satirical radio slot The Rambler and Taka stunned listeners with his masterly presentation of the news, two-and-a-half decades since he last did. An accomplished, medal winning athlete in his school days, Taka retired from CRTV in the mid-1990s after serving as Station Manager in Buea and Provincial Delegate for Information and Culture in Bamenda. His innovation when he anchored Cameroon Report was, he modified it from an initial one-man show as conceived by its founder Boniface Forbin with one long Editorial often on international issues. Taka began Cameroon Report’s drift to its present format with an opening Editorial (now My Take as coined by its present anchor Ebenezer WinnyanwokoMotale), and several contributions. Epie’Ngome, an agric officer before journalism, took his retirement in the last decade from the Ministry of Communication after serving Radio Cameroon/CRTV in Yaounde, Douala and back in Yaounde, where he became Editor-in-Chief and Cameroon Calling anchor in 1990. In between, he honed his journalism trade asBBC stringer and later BBC producer at its Bush House headquarters in London. In his break from journalism in the early 1980s he did corporate communication for Cameroon Shipping Lines (CamShip). On CC, he was among those detained for producing the “rebellious” pro-multipartyism edition of May 6, 1990. In his lifelong obsession for fine language and choice words, Epie’Ngome also ran the TV word game show Tel-a-Word. He has used his extraordinary language finesse outside journalism in writing poems and plays, most notably What God Has Put Asunder that depicts the incompatibilities between former French Cameroun and former British Southern Cameroon. He also has an unequalled knack and flare for music and an unusual mastery of information technologies for someone of his generation. 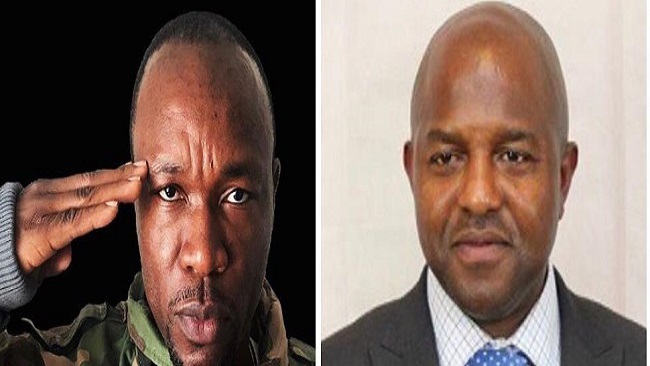 Can the dictum “retired but not tired” be truer of anyone than of Gideon Taka and Victor Epie’Ngome? Even as you read this, they both are most probably at work, preparing or executing a professional or related duty. A quarter of a century into retirement, Taka could be more busy and multi-tasking than mid-career journalists. He is Manager of Radio Hot Cocoa in Bamenda and, armed with a Master’s degree obtained in Canada in the 1960s, he lectures Journalism at three higher education institutions in Bamenda – Higher Institute for Business and Management Studies (HIBUMS) where he is Head of Department, Cameroon Christian University and the University of Bamenda. He was Journalism HOD at the National Polytechnic earlier. Overly committed to things journalism, he is the oldest active member of the Cameroon Association of English Speaking Journalists (CAMASEJ) North West chapter. He attends meetings and mingles easily with baby journalists in ways that give a feel of unassuming Methusela among Benjamins. Epie’Ngome has taught Journalism both at ASMAC where he trained in 1977-80 and the University of Buea and continues to train journalists. Only months ago, he and Professor Daniel Anicet Noah, also a former CRTV editor, were invited by CRTV management to go around the country drilling its regional station reporters. Both Taka and Epie’Ngome are most disposed to volunteer their wealth of knowledge, skills and experiences in ventures that promote the extra-curricular development of younger talents. When feminist journalist CommyMussa launched her Sisterspeak writing competition a couple of years back, Gideon Taka was handy to midwife it. He and Epie’Ngome have also readily been available in peer review initiatives by MEDIApeople newspaper and CReAM to arbitrate in media conflicts (professional tribunals of honour) like the one that erupted after Father George Nkeze disclaimed his comments about the Kumba Diocese bishop appointment reported in The Sun newspaper and called the newspaper and its reporter names. They are as disposed in judging the performance of journalists for the Courage In Journalism Awards (CIJA). They do so with rare rigour, meticulousness, integrity and dedication though only as volunteers. Not as if this listing is exhaustive. It may not be said with any certainty that other veterans are not being useful to journalism and usefully mentoring younger colleagues, yet, can one pretend not to notice that these two are a breed apart? Who cannot tell that they are around for calls higher than to recruit unsuspecting younger colleagues for ventures that benefit only the vested interests of Monster-Mentors? You don’t hear their names mentioned in petty gossips that poison the ranks of younger colleagues who ought to be striving for excellence, not doing dirty jobs. They do not act like they own oxygen and can only lend a bit, in measured doses (as a dirty job fee), to younger colleagues. Talk of professional advancement, you see Taka and Epie’Ngome around. A journalist keeping the company of these two is receiving two layers of rich mentorship – mentorship of mentorship, so to say. They receive from Epie’Ngome fruits of the mentorship he received from Taka. That can’t be nothing, can it? And if such mentees have any personal qualities of their own, tell me what can beat well-groomed inherent qualities? Well, if such younger journalists are in journalism for journalism’s sake, that is. Six people have died in Cameroon from a cholera outbreak that has infected 43 people since May, the health ministry said. 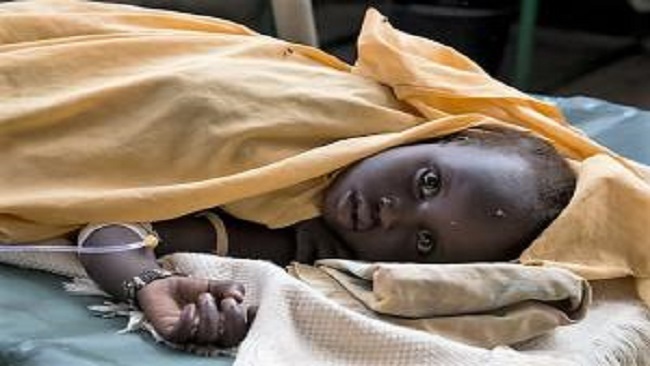 “Cases of cholera were documented since May 2018 in four districts in northern regions,” health minister Andre Mama Fouda said in a statement sent late Saturday. He said one case of the disease had been found in the capital Yaounde. “From the moment the first cases were documented in the northern region, every measure was taken to contain the epidemic,” Fouda said. 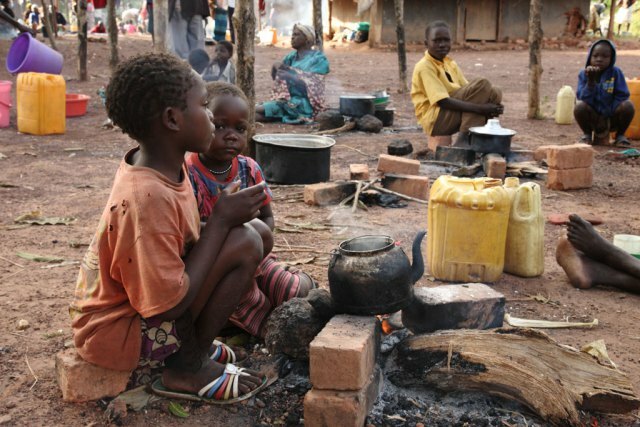 Cholera is caused by a bacterium transmitted through contaminated food or drinking water. It causes acute diarrhoea, with children particularly at risk. In 2010, an outbreak of the disease killed more than 750 people across Cameroon. 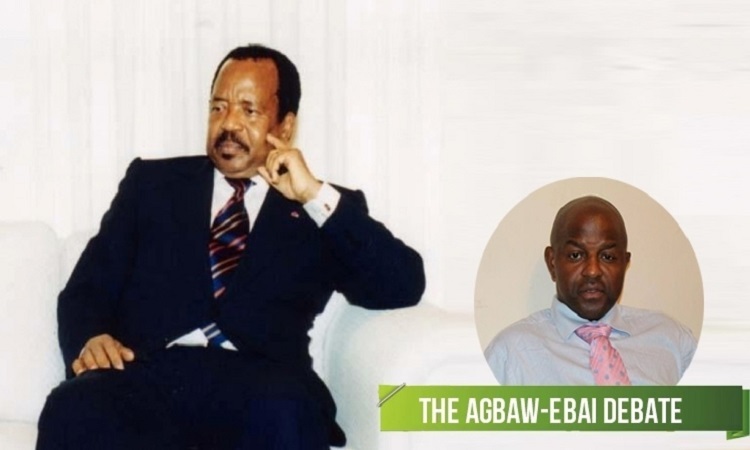 SOBA UK wishes to confirm that the recent elections organised by the UK Splinter group members instructed by Professor Ephraim Ngwafor in Cameroon had nothing to do with the legitimate SOBA UK entity that has been operating for the past 48 years in the United Kingdom. Therefore, the outcome of the elections organised by the Splinter group and under the unprecedented orders of an overseas person(s) has no UK constitutional backing. SOBA UK is confirming that these recent elections and Professor Ephraim Ngwafor’s dubious endorsement of the results as a means to rebuild his own shattered legitimacy in SOBA is null and void. We have noted that Professor Ephraim Ngwafor’s legitimacy as president general ended on 4th March 2018 when a Revival General Assembly held as a result of his failure to hold a general assembly meeting in 4 years or to render financial accountability and other issues raised. These issues remain unresolved to date. The SOBA UK Executive wishes to clarify that the SOBA UK programme for the rest of 2018 continues as planned. 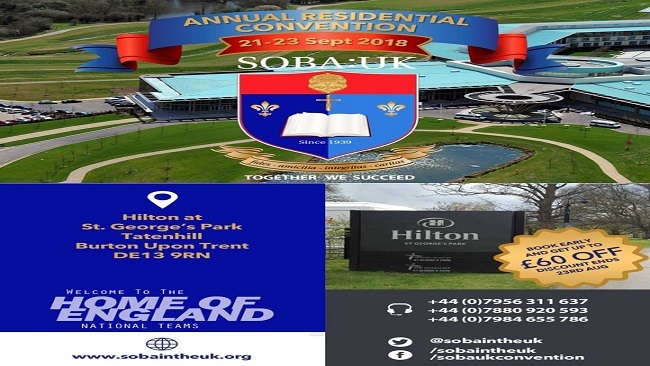 The SOBA UK Events team are delighted to announce that the Annual Residential Convention will be held on 21st to 23rd September 2018 at one of Britain’s most prestigious venues. The next SOBA UK General Assembly meeting will be held on Saturday 22nd September 2018 from 10am. 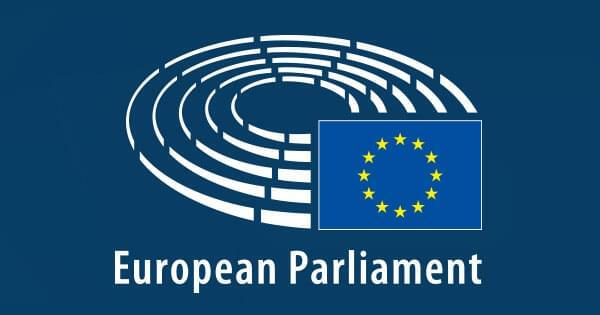 The formal launch of the Convention and full details will be announced shortly. We are very mindful of the Anglophone crisis in Cameroon which has led to the displacement of hundreds of thousands of Anglophones and significant loss of lives, as well as the worsening situation. This is a theme that will be picked up at this year’s convention. Over the past 5 years the SOBA UK Conventions have been well attended by many Cameroonian families in the UK as well as for those looking to network with the Cameroonian community. SOBA UK enjoys significant goodwill support from our community for what we are, the examples we set and the opportunities that we bring to the community. There is also a symbiotic relationship between SOBA UK and other alumni groups in the UK. For example, registered members of SOBA UK made a contribution of £2,300 on 5th May 2018 to OPSA UK at their annual convention to support their “Education of a Girl” programme. This level of support to another alumni group shows the goodwill of our members which can be harnessed for the education of our children in Cameroon. A key part of what we do is to collaborate and empower Sobans around the world. 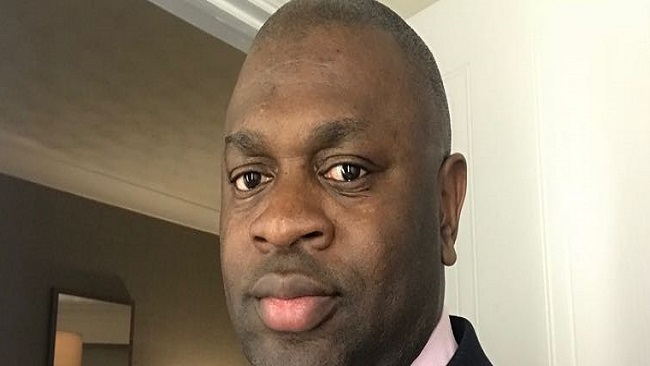 In the last 12 months alone SOBA UK has been represented by our president Mr Ayuk Akoh-Arrey (FIA) and other members to conventions at SOBA America, SOBA Foundation (in Germany), and SOBA Ireland. Also, in the past 4 out of 5 years SOBA UK has been represented at SOBA America conventions including at Montreal Canada in 2015. In 2014 SOBA UK made a contribution of £2,600 to support the 75th Anniversary celebrations in Cameroon and many members attended the event at St Joseph’s College, Sasse. The alma mater, St Joseph’s College Sasse remains dear to Sobans in the UK and that is why the Sasse Sick Bay project was initiated and implemented by SOBA UK with nearly £18,000 spent from the coffers of SOBA UK. An MOU was put in place in December of 2014 between SOBA UK and the Bishop of the Diocese of Buea, which would have allowed significant funds tobe injected to complete the projectbut was sabotaged by Professor Ephraim Ngwafor. In 2016, the SOBA UK General Assembly regrettably voted to withdraw from the Sickbay project, which has since then collapsed with Professor Ngwafor failing to either show the merits of his actions on the MOU or complete the project. SOBA UK remains open to showing goodwill to the alma mater. In respect of our UK membership, SOBA UK continues to lead the way in terms of what our fraternity should be about. In the last 15 months alone 7 of our registered members lost a parent in an unprecedented spate of losses never seen before in the history of SOBA UK. Thankfully, the goodwill of our members and the association enabled significant financial support of over £14,000 to be provided to those bereaved, as well as emotional support.The strength and diligence of what we have built in SOBA UK has seen us through such a difficult year and may the souls of those who have departed rest in peace.